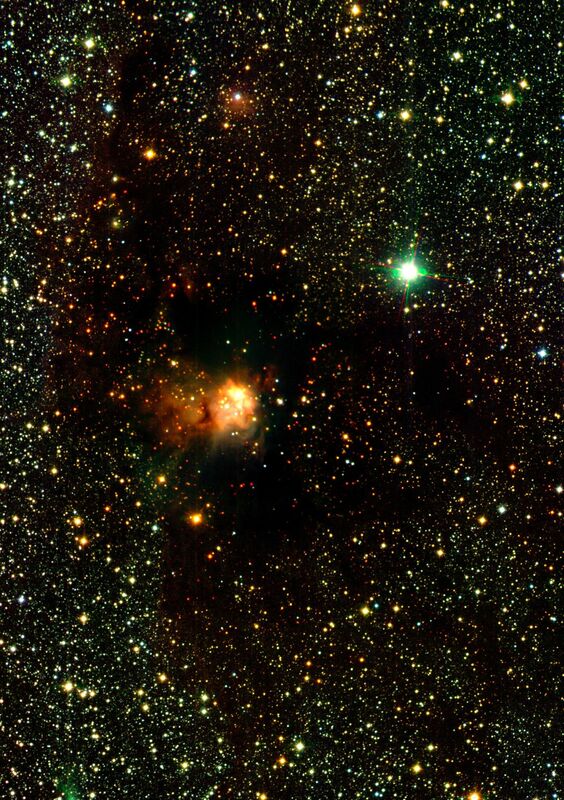 Remarkable, wide-field infrared image allows to see in unprecedented detail the inner regions of RCW 108, a large complex of stars and nebulae in the southern Milky Way. It is one of the widest, "deepest" and most spectacular infrared astronomical images ever obtained of a starforming region. It is based on approx. 600 individual exposures with the SOFI multi-mode instrument on the ESO 3.58-metre New Technology Telescope (NTT) at the ESO La Silla Observatory (Chile).